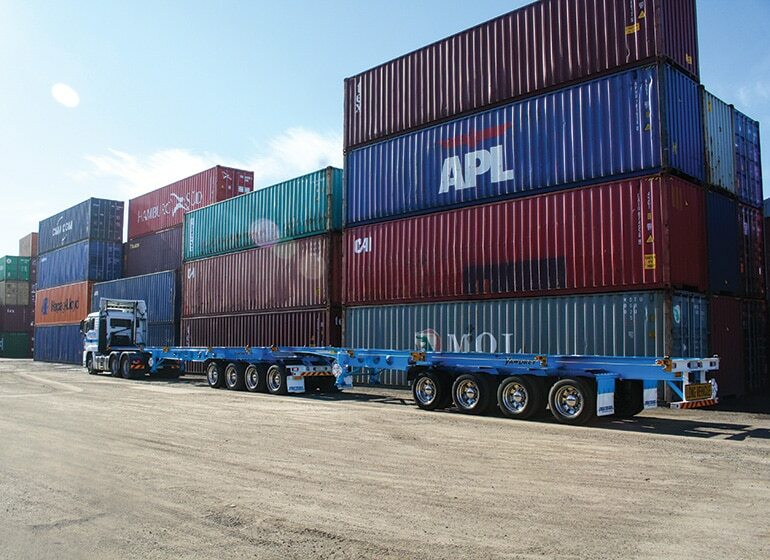 With the growing cost of container transport, Norman Carriers sought a solution that would allow it to carry more containers per trip. Since purchasing a new quad super B-double skel combination by Vawdrey, the wharf cartage specialist is achieving major efficiency gains. 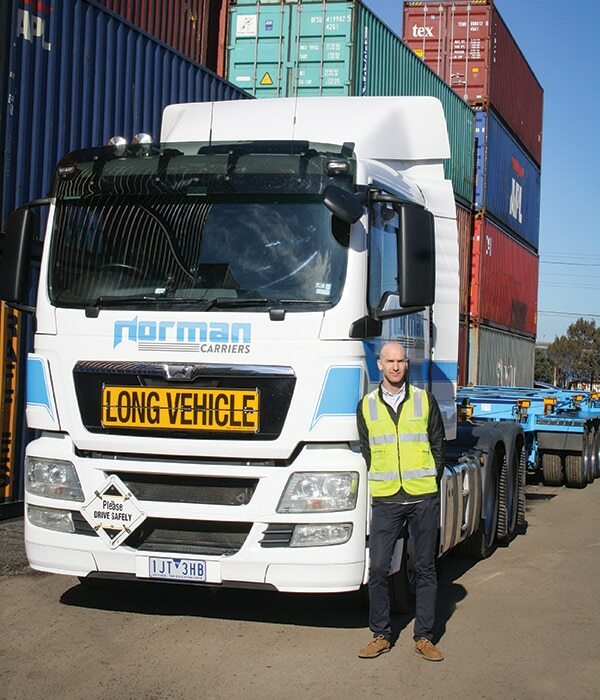 Delivered in November 2017 and put straight to work, transporting containers to and from Melbourne’s wharves, the new combination is the first quad quad super B-double to join Norman Carriers’ 75-strong trailer fleet. “Our fleet allocators love the added flexibility and carrying capacity that the quad quad offers. The capability to carry four 20ft or two 40ft containers is a real game changer for our operations,” says Gareth Hearnden, Managing Director at Norman Carriers. Operating under a mass-management permit, the quad quad super B-double is achieving a gross vehicle mass of up to 77.5 tonne, up from the 68.5 tonne that is possible on a standard B-double. Norman Carriers is a third generation, family owned and operated business, started by Gareth’s grandfather Norman, in 1949. The business has specialised in wharf cartage since the beginning, along with general freight and side-loader deliveries throughout metropolitan Melbourne; however it has now diversified its offering to include a broad range of other services such as warehousing and container storage, as well as a suite of container unpacking and redelivering services. Gareth says his grandfather laid a strong foundation for the business, creating a culture of hard work and customer-centric behaviour that still exists within the business to this day. Norman was succeeded by his son Grahame, before passing the reigns of the business onto his son Gareth in 2016. “My father continued to raise the profile of the company within the Melbourne transport industry. His knowledge and experiences have ensured the company would continue on its upward trajectory by enabling our fleet to run efficiently and effectively,” says Gareth. “Since becoming director I have continued to work closely with my father to solidify everything he has built while also using cutting edge technology to push the company forward. As well as skels, Norman Carriers’ fleet is made up of a range of other specialty equipment including tautliners, side-loaders and drop deck extendables.